But getting high is not all that it’s good for. THC also has a wide range of medical benefits, and is commonly reported to relieve pain, nausea, and depression, among other things. THC was first isolated in 1964 by an Israeli scientist named Dr. Raphael Mechoulam. Since then, many other cannabinoid compounds have been discovered. The amount of THC in marijuana depends on the strain type and the conditions in which the plant grows. Today, the average strain contains between 10-30% THC. There are several ways of consuming the THC in marijuana: smoking, vaporizing, or ingesting it by mouth as an edible. Smoking is the most common way of using marijuana and the fastest way of delivering THC and the other chemicals into the body. When marijuana is inhaled, THC goes directly to the lungs and enters the bloodstream. The lungs are able to absorb the smoke just seconds after inhalation, due to their enormous surface area covered with millions of air sacs. These tiny air sacs (alveoli) readily enable THC to enter the bloodstream. Once in the blood, THC quickly crosses the blood-brain barrier and enters the brain. Vaporizers offer an inhalable alternative to smoking by heating and turning the active chemicals in marijuana into a vapor. Like smoking, once vaporized and inhaled, THC enters the bloodstream and reaches the brain seconds later. 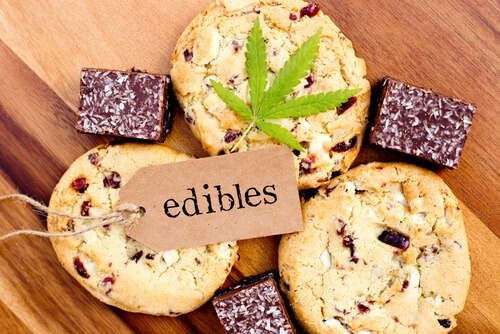 Edibles (baked goods, teas, or tinctures) tend to be high in THC potency and strength. When edibles are eaten, THC is slowly absorbed into the bloodstream by the digestive system. 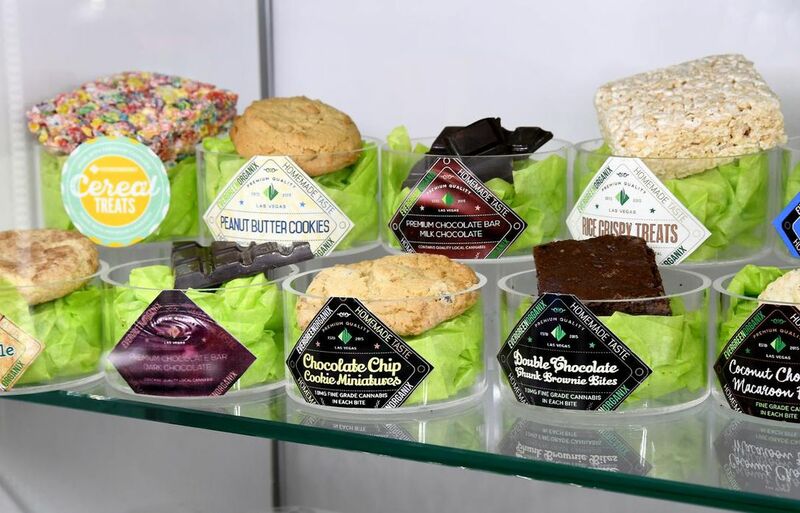 Edibles may last longer and feel more intense than smoking or vaporizing. While the effects of inhaling THC will last from 45 minutes to a few hours, edibles can last for 6 to 8 hours or more. THC is one of many compounds in marijuana known as cannabinoids. When THC is ingested, it activates pathways known as cannabinoid receptors. When THC attaches to a receptor, it changes how the brain works. These changes can be either beneficial or harmful, depending on how THC is used. Many types of cannabinoids attach to these receptors, including cannabinoids produced naturally by the body. The cannabinoids produced in the body, along with cannabinoid receptors, are part of the body’s endocannabinoid system. The endocannabinoid system is widespread in the human body. Cannabinoid receptors are also one of the most abundant types of receptors in the brain. This explains why THC has such diverse effects on the mind and body. Type 1 cannabinoid receptors (CB1) are mostly found in the brain. When THC attaches to a CB1 receptor, it temporarily changes how a brain cell functions. These changes create the feeling of being high. THC also causes significant changes in the body. The cannabinoid receptors in the body are known as type 2 cannabinoid receptors (CB2). CB2 receptors are found on all kinds of cell types, including gastrointestinal, cardiovascular, liver, kidney, bone, skin, lung, and immune cells. Besides the high, there are other psychological effects of THC. These effects vary from person to person, depending on the strength and amount of marijuana used and how it is taken. The effects of THC include an initial relaxed and mellow feeling, eyes may dilate and other senses may be enhanced. THC can also change thinking, memory, perception of time, and cause hallucinations or delusions. The more immediate effects of THC are typically felt 10 to 30 minutes after consumption. Along with the positive feelings that marijuana creates, there are negative side effects that can occur. The immediate effects of THC include changes in behavior and mood as well as physical effects. The most unpleasant and common side effect associated with occasional marijuana use is anxiety or panic reactions. Marijuana use can also have a negative impact on short-term memory, attention span, motor skills, reaction time and skilled activities like driving. Certain side effects of marijuana are more common than others. Frequent users can also develop a tolerance and may experience less side effects as a result. THC can have possible long-term effects for those who are chronic or regular cannabis users. These include lung problems (such as bronchitis), heart risks, cognitive impairments, addiction, and withdrawal. Marijuana smokers may suffer from daily cough, phlegm, more constant cold and/or bronchitis. Smoking marijuana can also compromise the lung’s immune defenses and increase the risk of infection. Smoking marijuana relaxes and enlarges the bronchial passageways in the lungs. While not all cannabis users experience serious lung conditions, some of the more common respiratory ailments may result from irritation of the airways and chronic use. The smoke from marijuana itself contains 50 to 70% more carcinogenic hydrocarbons than tobacco smoke. So far, however, no definitive links have been made between marijuana use and lung cancer. Using a vaporizer can decrease the amount of toxins delivered into the lungs and may limit some of the common respiratory symptoms experienced by cannabis smokers. After ingesting marijuana, the heart rate can increase dramatically and remain elevated for up to 3 hours. Cannabis smoking can increase heart rate by 20 to 100%, increase blood pressure while sitting and decrease blood pressure when standing. For anyone with high blood pressure, heart arrhythmia or other cardiac disease, the risk of altered heart rhythms or heart attack may be increased. Chronic marijuana use has been associated with ongoing impairments of attention, memory, decision making, and social behavior. There is evidence that these effects are also dose-dependent. In other words, longer and earlier exposure to THC may lead to greater deficits. Heavy marijuana use may also contribute to lower expectations and poor relationship choices. THC is also potentially addictive, based on feelings of craving or seeking out marijuana even when there may be negative social consequences. Repeated doses or intake of marijuana can lead to tolerance, which means less of the effects are felt and it takes a heavier or stronger dose to get the same euphoric feelings. Long-term marijuana users may experience withdrawal symptoms if they stop using it. These include irritability, decreased appetite, sleeplessness, drug craving and anxiety. THC is a cannabinoid that has paved the way for a new field of medical treatments and research. While THC is still illegal in the U.S. and most countries around the world, synthetic versions of the chemical have been legally prescribed for decades. Marinol, a form of synthetic THC, is currently accepted by the FDA for the treatment of nausea and vomiting from chemotherapy and weight loss in HIV/AIDS. THC is also a promising candidate in new treatments for pain, brain injury, glaucoma, dementia, fibromyalgia, and many other illnesses. In 1997, the International Journal of Geriatric Psychiatry investigated if THC could help Alzheimer’s patients. The researchers found that THC improved appetite loss and behavioral disturbances associated with Alzheimer’s disease. In a 2014 review, scientists found that patients who suffered from a traumatic brain injury were more likely to survive if THC was present in their system at the time of the injury. This effect is thought to be due to the neuroprotective and anti-inflammatory effects of THC. A 2006 trial found that THC reduced symptoms of pain in fibromyalgia. Patients who received THC reported lower daily scores of pain intensity than those given a placebo. The researchers believe that THC helped to reduce the perception of pain in the patients. A 1980 trial published results that indicate THC can reduce intraocular pressure in patients with glaucoma. They found that smoked THC reduced blood pressure in the eye after 60-90 minutes. This could benefit patients with glaucoma because reduced intraocular pressure can reduce damage to nerves in the eye and slow the progress of vision loss. A 2013 trial found THC from marijuana can help patients with Crohn’s disease, a type of inflammatory bowel disease. After taking 115 mg of THC twice a day for 8 weeks, 45% of patients achieved complete remission, meaning they were effectively cured of all their symptoms. Other patients found that marijuana relieved some, but not all, of their symptoms. The British Medical Journal published a 2004 trial showing that patients with multiple sclerosis could benefit from THC. The researchers concluded that patients had significantly lower pain intensity after treatment with THC. Other studies report that THC can improve spasticity in multiple sclerosis. THC can also help reduce inflammation, according to a 2009 study. The findings suggest THC can slow the body’s production of inflammatory chemicals, known as cytokines and chemokines. A 2013 trial looked at whether THC might help sleep apnea sufferers. The findings, published in Frontiers of Psychiatry, showed that THC significantly improved breathing quality in patients with sleep apnea. The study also found that THC did not interfere with overall sleep cycles and had minimal side effects. Over the past few decades, the average THC content of cannabis has increased as well as the potency or strength of the cannabis being used today. Stronger strains of marijuana may increase your exposure to THC and the risk of adverse side effects. Ingesting THC as an edible or concentrate can also increase the chances of an overdose. While you cannot die from a THC overdose, it can cause some unpleasant symptoms. Severe side effects such as dizziness, hallucinations, and, in rare cases, an extreme psychotic reaction may result from ingesting THC and may lead some to seek treatment at a hospital emergency room. Psychotic symptoms resulting from an overdose of THC generally last for a short duration. However, some cases of overdose have been known to last for several days. THC is the most well-known and well-studied chemical compound in marijuana. THC works by interacting with the body’s endocannabinoid system. It is responsible for the psychoactive effects of the plant, causing feelings of euphoria, time distortion, and changes in perception. THC offers medical benefits for many conditions, including Alzheimer’s, multiple sclerosis, pain, and sleep apnea. THC has a number of side effects, including anxiety, dizziness, and dry mouth. There are also some risks of long-term use, such as lung problems (bronchitis), heart risks, cognitive impairments, and addiction. 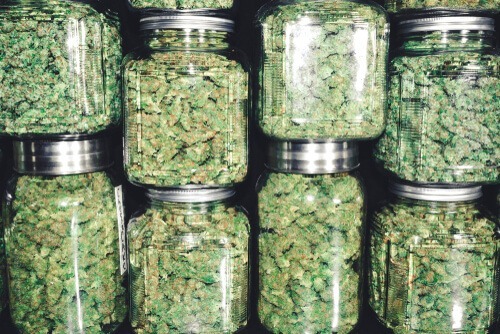 It’s impossible to die of a THC overdose, but taking too much can cause unpleasant side effects, including panic attacks, hallucinations, and vomiting. These symptoms generally subside once the drug has cleared from the system.